Well, a month has passed since my last med check where I was ambushed by a filler doctor. He had me taken aback with his recommendations for heavier medications, such as “real mood stabilizers” and replacing all my benzos with antipsychotics. Apparently, in his professional opinion, my bipolar disorder was not well managed. I’ll be honest with you. Not only did his recommendations scare the bejesus out of me, they insulted me. Typically, I would really refrain from faulting myself from being a particularly proud person. With all of the knocks I’ve taken in my life, I can ill afford pride and arrogance. But, in a way, it felt like he dismissed a year’s worth of legitimate complaints with the flick of a wrist. It was almost as if he were nullifying all of the effort I’ve put into managing my mental health. His suggestion? A condescending tutorial on how to use Google to research my disorder and make informed medication decisions. That didn’t stop me from obsessively combing the internet, haunting message boards, putting messages in a bottle, and taking a battery of online assessments. My assessment? Don’t self-diagnose from the internet. Ironically, there I was on Friday morning watching Silver Linings Playbook. It was neither the first nor the tenth showing of that movie on that screen. I had always admired the screen portrayal of Pat, and felt that it did justice to the disorder. There was always something that I identified with, but not entirely. I hopped in the shower, almost hysterical. Before I’m about to meet with someone, I usually have a script ready in my head. It’s just a set of questions I’ve already prepped myself to answer and topics that are safe and well researched. This is especially the case when I’m preparing to meet a professional. It’s easier than getting bullied into treatments that I’m not entirely familiar with. At least I have some ammo when I go in. But, I had no answers this time. I’ve been to enough med checks in my life to know what to say and what not to say. It’s a matter of knowing what’s going to get me in hot water and take me down a road I’m not willing to go. Call that non-compliant, but let’s be real. How many people are completely 100% treatment compliant? I was ready to lay all of my cards down on the table. Xan cautioned, “Don’t go in there guns ablazing.” Again, eye roll. I was panicked to the point of wanting to cancel. It wouldn’t be the first time I’ve done that with a doctor. But, Dr. K has this soft cleverness about him. He’s far more observant than any other psychiatrist I’ve ever had. And at the same time, he’s far less talkative, so he’s entirely less likely to show his hand. Most doctors will give a tell as to their personal opinion, rather than a professional opinion if I engage them in a little extra conversation. Dr. K just doesn’t bite. Which brings me to what happened. I quickly and gently asked about her condition. If I was taking home anything that day, it was the knowledge that folks in a psychiatrists office are a lot more eager to talk about their own conditions than I imagined. Dr. K called me in, and I wished her well. I guess all of the psych talk in the waiting room primed me. I sat down in one of his plain black leather armchairs that did the rest of his ornate office no justice. Naturally, he asked me how I was. I admitted that I was well enough. Then, somehow, I trickled into it. I told him that I’m able to manage. But the “insanity of it all” was just overwhelming. The burning need to perform certain tasks in a particular way was killing me and causing conflict in my family. He asked me to elaborate. And did I! I told him about the cumbersome nature of housework. I like everyone to be out of the house, because I can do it the way I need to, without any interference. And Xan, he tries to help when I’m getting more and more stressed and less and less gets done. I told him about an incident where Xan did the dishes. I don’t like when people do my dishes. They can’t work within my system. It’s infuriating, because the system is so easy, but I don’t expect anyone to know how, because it’s my system. They have to be done in a certain order so they can be stacked in a certain order. If they’re not, then something is going to break. I described the awful Jenga game and how all of my favorite glasses and mugs have been broken by such carelessness. Then, they have to be air dried to avoid any contamination. The last thing I want is to accidentally give my family and friend food poisoning because I was being careless. If there are multiple loads, then it slows the entire thing down. But, then they have to be put away in a particular way, because that’s how they fit in the cupboards. I try not to swear and complain when I go into the cupboards for something later, but it’s hard. If they aren’t put away correctly, then they don’t fit, then things get lost, and then that delays all other kitchen activity. I told him that I felt like I knew that the level of obsession with such detail was unhealthy, but there wasn’t any way to fix that. I’ve always been like that. He asked if there was anything else like that, and I exclaimed excitedly, “Oh the closet!” And I went on to talk about how the closet is arranged and how the clothes have to be folded exactly so they fit in the drawers without incident. And again, I went into how I know it could be done differently, but it’s not right and it doesn’t work. I’ve spent years developing these systems. It is supposed to make everything easier, but it actually kind of makes everything more difficult when I don’t have the time or energy to devote to it. I actually went into more length than I wanted to there. But, I felt like I had to illustrate the entire madness. To leave anything out wouldn’t do it justice. I expressed to him that I didn’t understand why I had to do this. But, in truth, the act of organizing and sorting usually gives me some peace. Well, when everything goes as it should. Apparently, I used the right key words. He answered my questions about the “level of obsessiveness” with a sentence that contained the keyword: compulsions. Note: I usually refrain from using psych lingo or any clinical terminology. Most doctors aren’t very receptive. Dr. K explained something that I never really got until then. Anxiety manifests itself in many different ways, sometimes all at the same time. And there are many different coping mechanisms that a person develops over a lifetime. Anxiety can manifest in obsessions, which often lead to compulsions to alleviate that stress. His response was to treat it with Prozac. I’m pretty hopeful. He added that it’s characteristic of obsessive compulsive disorder. In all of my education and research, I am still a little unclear on it. This is going to be a new journey for me. In a way, I feel a little vindicated. I was right to trust my gut sense that bipolar disorder wasn’t the entire picture. And I was right in believing that there was more to it, as if we fixed something, but uncovered something else. Most of all, I’m glad it’s all resolved, and I’m on an appropriate treatment for it. So I guess all it takes is a little bit of clinical reference to speak the language of a Pdoc. I’ll keep that in mind in the future. 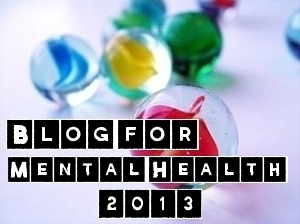 Lately, I have written a series of posts over the last two months describing certain troublesome symptoms I associated with the worsening of Bipolar Disorder, or the potential for comorbid disorders. Recently, I stopped my Abilify. Admittedly, it was because I noticed an interaction between the Abilify and my weekend consumption of alcohol. I started to find that I would fall asleep soon after taking it on Friday’s while we drank. I decided that I would just stop over the weekend, and continue during the weekdays as normal. But, eventually, I just forgot to take it at all. And soon, I started to notice an improvement in my worsening condition. I went on to describe some of the awful side effects I was experiencing as a result. However, the list was truncated for the sake of keeping word count down. The description is rather limited in terms of accurately depicting exactly what I was subject to. I started forgetting things again. These were simple things, like losing my purse or shoes in the house. It seemed like just a simple case of forgetfulness, maybe stress related. Emotional Blunting and Partial Flattening. I had never had too much trouble with emotional blunting in the past. While I’ve found myself in times where it was difficult to express my emotions, this didn’t indicate a lack of emotional response. I describe it as a partial emotional flattening, because it wasn’t an entire lack of reactivity. It felt like my spectrum of emotions had been significantly reduced, although not completely removed. There was a certain inaccessibility to certain strong emotions. Rather than completely removing extreme emotions, it threw a wet blanket on top of them, leaving them to bubble under the surface. So, the emotions still existed, but were muted and unable to be adequately expressed. At it’s worst, I began to lose most feeling entirely, with the exception of irritation and the sensation of boredom and fatigue. I began to lose love and my attachments to meaningful people and my relationships with them. Dissociation. I touched on a summary of the dissociative symptoms that Abilify had brought on. I have been writing articles on the experience throughout the last few months on the subject, describing the feeling in great detail, but remained unable to exactly identify is appropriately. The dissociation probably occurred as a response to the prior bullet points. The dissociation cited was experienced as a removal of self and removal from my own life. I had felt as if I had been separated from myself and my world. It was a feeling of something being stolen from me, or something fundamentally inaccessible. Like, I was being locked out of my own life, or becoming transparent and just fading away. Worsening of Depressive States. This is probably a direct result of the first three bullet points. I started to disengage from my life. I lost interest in just about everything. Most things were considered to be either boring or tedious. Important things started to lose meaning. This was experienced as a part of the emotional flattening, but it caused a concerning and distressful reaction. Exacerbation of Social Anxiety. Since I had lost the ability to carry on a conversation and found myself completely disinterested in socialization, my social anxiety went through the roof. I simply didn’t care about anything anymore, especially trivial things I used to find interest in. Therefore, I found it difficult to carry on a conversation. This caused extreme distress in social situations, and encouraged further isolation. Disturbed Sugar Levels. While I have no concrete proof in terms of tests, certain symptoms have come to my attention. They are notated below in the next two bullet points as thirst and weight gain. Loss of Sensation of Bodily Hunger, Thirst, and Fullness. Within the last few years, I started to become more in tune with my body. I was able to feel the sensations of hunger through my sugar level, which probably caused the loss of bodily hunger. The disturbed sugar levels probably also caused an extreme thirst that could not be quenched. At first, I craved water. Eventually, I started to put the soda back down, which probably caused part of the weight gain mentioned below. And I felt an extreme pressure in my stomach, which was also exacerbated by the influx of so much fluid. Extreme Weight Gain. Truthfully, I don’t dare get on a scale at the moment, so I am unable to notate at this time exactly how much weight I’ve gained. By the fit of my clothing, I will estimate that I have gained somewhere between ten and fifteen pounds in the last three months. That is a substantial gain for me, especially since I was losing weight prior to the start of this medication. Exacerbation of Eating Related Problems. By all definitions, it’s completely possible that I am living with an undiagnosed eating disorder. However, I am not entirely convinced, since it isn’t an ongoing and prevalent problem. Therefore, I define it as eating related problems and difficulties. The concern for weight gain and the sensation of fullness caused a very terrible reaction of binging and purging. I was unable to control my eating, as notated above, therefore the sensation of extreme fullness would cause me to perceive the overeating as worse than it actually was. Unfortunately, this led to a very vicious cycle and encouraged further weight gain. Disturbed REM Sleep. I was waking up tired, and noticed that it felt like I had stopped dreaming. This caused my mental state to take a considerable dive. It caused extreme fatigue and excessive, unproductive sleeping. While I am cleared of most dissociative symptoms, emotional flattening, and my depressive state is lifting a little, some side effects have remained. Cognitive Disturbances. The aphasia-like symptoms remain, but to a lesser degree. I am back to just being a little forgetful, and have some minor word dropping. Memory Fragmenting. Some of my memories remain dull, but seem to be returning. However, most of the last three months remains inaccessible. It may never become accessible, due to the disruption in the formation of short-term memory. Disturbed Sugar Levels. I am still thirsty, but I am no longer engaging in carbohydrate seeking consumption behavior. I figure it will take awhile before my sugar is regulated properly again. Unfortunately, I am experiencing a return of some of my milder psychotic symptoms. In Imaginary Enemies, I described a cognitive disturbance I described as “The Voice”. “The Voice” can be characterized as a singular persona, as I wrote about in Conscious, Subconscious, and Extraconscious, where I described a theory of a third consciousness that exists between the subconscious and the conscious mind. The Extraconscious is postulated as where the persona(s) reside, laying in semi-dormant waiting, perfectly aware of the current reality that is being experienced. “The Voice”, in more severe psychotic states, can be experienced as a separate entity entirely, detached from the consciousness. That is the defining line between a cognitive distortion and an auditory hallucination, when a persona detaches itself from the extraconscious as an external sensation. As an extraconscious persona, “The Voice” can best be defined as a quasipersona, lying somewhere between Dissociative Identity Disorder and psychosis. It is experienced as a semi-active part of the conscious mind, as the dominant persona is well aware of it’s existence and there is a certain interaction that occurs between the dominant persona and “The Voice”. That is the best theory I can offer as to the existence and function of the quasipersona, known to me as “The Voice”. The mild auditory hallucinations and visual hallucinations have returned, probably defined better as a sensory disturbance, rather than a symptom of psychosis. When experiencing a sensory disturbance, it’s not full on hallucinations as described in the definition of psychosis. There are not entities separate from the body. They are recognized as a disturbance in the current reality, distorting shapes, colors, and contrast in the vision. In the hearing, it is experienced as a distortion in sound, causing sounds to be sharper, duller, muffled, or louder than they actually are. It can only be sensed by a sudden shift in perception. So, instead of hearing things at a normal sound level, the sound volume may increase to deafening levels or may become muted and difficult to discern from nonexistent static that occurs in the mind. My visual disturbances may be perceived as viewing the world in high contrast, extremely bright colors, and / or extra high definition resolution. Or, they may be seen as duller than usual, muting colors, distorting shapes, and / or clouding the vision with that appearance of a veil or foggy goggles. Intrusive thoughts have returned, but not with the same extreme nature as experienced several months ago. In truth, they were never completely removed by the Abilify, and at some points were made worse by the drug. Instead of experiencing them as a truth in reality, I am now able to separate them using logic. I can talk myself off of the ledge and separate them from the reality of a situation using DBT techniques of mindfulness and distress tolerance. Prior to the cessation of Abilify, I was unable to utilize those techniques. I don’t mean to put anybody off of treatment with psychiatric medications, but I felt this was important to document and have as a resource on the internet for anyone who is thinking about taking the drug. Some of these side effects aren’t listed in the pamphlet, as they are probably isolated to a condition. But, I feel they are still a distinct possibility for anyone who is being treated for similar conditions. It is vital that this information be notated and readily available for medication education purposes. This information probably should not be generalized to all psychiatric medications, especially in the class of antipsychotics. 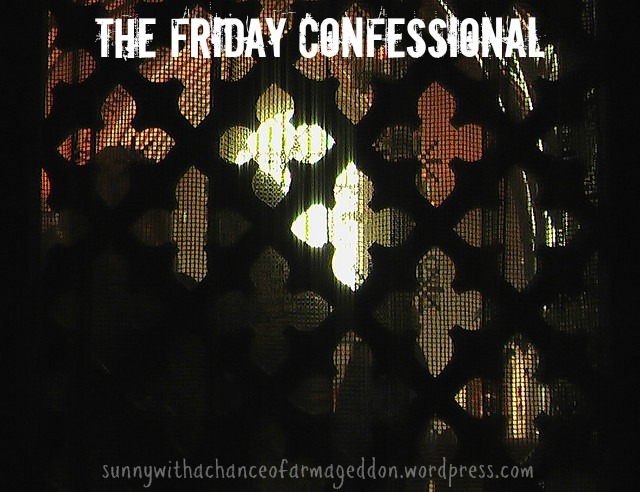 The Friday Confessional is probably well known by now as a very soul baring exercise in writing. Today, I’d like to talk to about something rather embarrassing for me. A major milestone in most people lives happens at the tender age of sixteen. There’s the sweet sixteen, usually accompanied by the awesome responsibility that comes with a person’s first driver’s permit. And the teenager blossoms into an adult as they take on that adult responsibility and freedom of driving. I am nearly 30, and I never learned how to drive. Originally, it wasn’t because of my lack of enthusiasm. The prospect of the freedom that was associated with driving was intoxicating. It was all I could ever want, being able to drive. I could take myself places and not have to rely on anyone else. It would open up new worlds to me, and allow me to do so many things I had always dreamed of. I could pick my boyfriend up and see him more than twice a week. We could go park somewhere and maybe make out for awhile. My mother doesn’t drive, and my father refused to use his precious vehicle to teach me. I was crushed. They claimed they didn’t think I was responsible enough to take on driving. But, as with everything else, it was an excuse not to allow me to have any kind of breathing room. They could continue to circle me like vultures for my remaining two years in that house, ever judging and scrutinizing me while I remained under their thumb. I was stuck for any options to circumvent this decision. There is a law in Pennsylvania that prohibits teens from teaching other teens how to drive. Most of my friends were under 18, and those who weren’t didn’t have their own cars at their disposal. It seemed that I would have to wait indefinitely to gain all of that freedom that I craved so deeply. Time passed, and most of my friends still remained as pedestrians. It used to be easy in a city like Pittsburgh to get by without a car. Most of the places anyone would want to go were accessible via bus. And taking the bus was infinitely cheaper than owning and maintaining a car. College came and went without a driver’s license. Once out of college, I had already developed an alcohol problem. Driving became less important. My job was within walking distance, and everything else wasn’t quite as important anymore. Most of my friends had their own license, and the responsibility of driving seemed to great for a person who was perpetually drunk. It didn’t matter to me anyway. I was broke, and there was no way I could possibly afford a vehicle of my own to drive. More time passed. I got married, had a kid, and jobs came and went as I settled into family life. The need for a license started weighing on me, as I was begging for more favors from people with vehicles. I lived poorly and saved every last penny to buy my very first car. And eventually, I got it. I paid outright to avoid financing. It was a black 2000 Volkswagen Jetta. It was beautiful and one of those 0 to 60 in ten second cars. It would have been perfect for street racing, as it was the sport edition. Of course, that wasn’t the plan. The plan was to get my license in the spring. A whole year passed without any attempt on my part to get my license. The idea started filling me with dread. How could I possibly drive while so incredibly medicated? I had just started treatment that year, and I was foggy most of the time. I couldn’t focus on a task for more than a few minutes at a time. Driving seemed to be an impossible task that had become far out of my reach. Then, it happened. The car that I had paid in full was totalled in an accident with Xan. I was devastated. It was my very first car, and we had hardly seen more than a year with it. I was supposed to learn how to drive with that car. It was compact and would have been perfect for my needs as a driver. But, no more. The car was completely gone. For awhile, we borrowed my MIL’s car. I refused to begin learning on that car. It didn’t matter, because fall was coming. I was beyond hesitant to start to learn how to drive in inclimate weather. The car didn’t feel entirely safe, and I was too nervous about the possibility of getting into an accident with it. It would have been different if it was the Jetta. That car died too. It died up on a rack during an inspection, just a few months after we borrowed it. It turns out that the undercarriage was completely rusted out. The car was in such bad shape that we didn’t even get charged for the failed inspection. Instead, the mechanic told Xan to get the car out of there, and get rid of it as fast as he could. We were at the lot that day. The problem with the car was that it wasn’t even ours. There was no possible way we could trade in the car, even with the express permission of the owner. Instead, we had to eat the entire cost of a down payment. It seemed that there wouldn’t be yet another Christmas in the Stark household. We drove off of the lot in another dream car, a 2006 Chrysler PT Cruiser. My driver’s education teacher in high school owned a different years when they were brand new. I had always admired that car. It cost the same as the other, lesser cars in the lot. I’m not a fan of Chevy’s and that’s all they wanted to give us. But, I didn’t really want to buy another car. I wanted the Jetta back. But that was impossible. 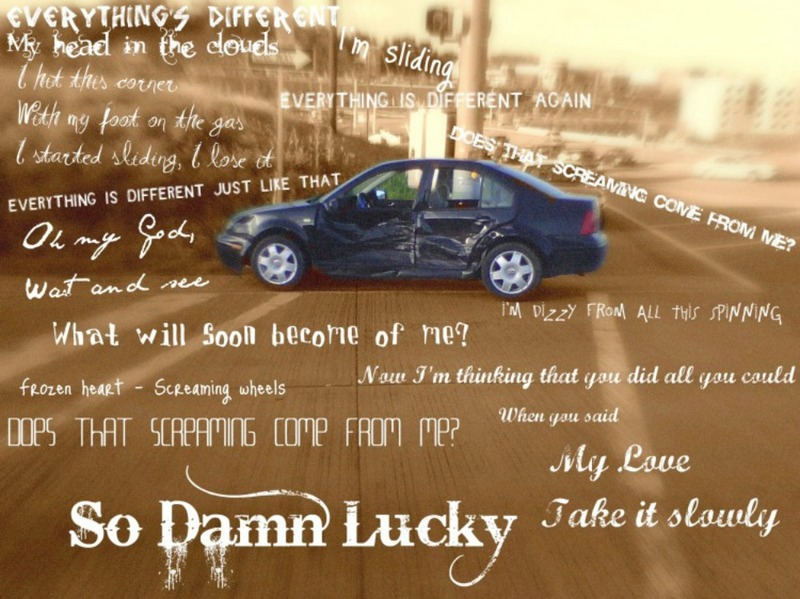 It was wrecked beyond repair, with a bent frame and the entire driver’s side crushed in. Almost another year has passed, and I still haven’t learned how to drive. This time, it wasn’t for lack of a car. It wasn’t a person standing in my way. In fact, Xan has been more than supportive in this endeavor. It is me standing in my own way. I still don’t have my permit. And every time I think about the possibility of getting it, I cringe. I’m on so many medications, and most of the time, I’m falling asleep in the car anymore. I’m so nervous that I can’t concentrate. Even just imagining driving fills me with anxiety. I’m Lulu, I’m in my late 20’s, and I can’t drive.